Open Level Class - Sunday's from 2:00 - 3:30 pm. Four week class card $80.00, single class $25. No class on 4/21/19 Happy Easter! Students interested in the upcoming season (June - October) for the Athens Square Park and Queensboro dance Festivals or in becoming a member of the Desert Divas Belly Dance Troupe please contact me - deadline March 15th 2019. We've been selected! Check out what they said: "Great news, we looked at 37 other instructors in your area and hand-picked you for the Top 10! 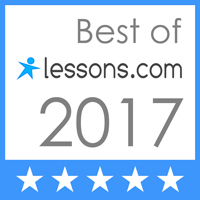 We scored you on more than 25 variables across five categories, and analysed the results to build the best instructors on Lessons.com for 2017."